It may be too hot in China’s kitchen as Master Chef Xi Ji Ping and his sous-chefs are trying hard to cook a palatable response to US demands on trade, business, and global politics. In understanding the emerging recipes of China’s foreign policies, it’s important to understand the strategic vision and domestic imperatives of China’s leadership. Already the second largest economy, China is growing (despite threats of a slowdown) three times as fast as the US, on track to become the largest economic power globally, over time. What follows is political heft with the ability to influence global politics by attracting international support. To become a supreme global power, a strong central leadership that can command unity, is considered paramount. Hence, we saw the coronation of Xi as “president for life” where he now chairs six top-level groups as well as many central committees covering every major area of policy. The consolidation and centralization of power gives the communist party of China a much tighter grip on the country’s developments, which probably runs counter to the idea of a more market-based model that’s been touted over recent years. It is perhaps a greater reflection of “Socialism with Chinese Characteristics”, which Xi’s inner circle (including Liu He-top economic aide and Wang Yang- pro-market, liberal economist/reformist), shall serve through the next round of economic reforms. As investors, what bears watching are “recipes” of domestic economic and social agendas that lend to an extensive menu of investment opportunities. China’s “New Economic Model” first announced in 2013 marks a shift from its earlier reliance on labor-intensive manufacturing for export combined with high-level state investment in public infrastructure. The new emphasis has been on domestic consumption driven by an emerging middle class, 300 million strong, with average urban incomes growing at almost double digits to pursue discretionary spending on high-quality food, wellness products, luxuries, entertainment, tourism, education, etc. 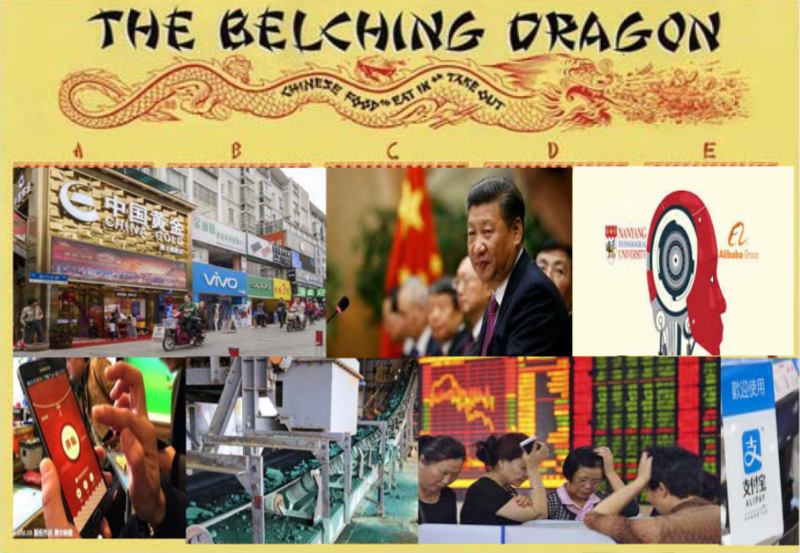 Investors have long been following the aroma of the promising consumer by investing into equities that feed into the Chinese economy through mostly Chinese company shares listed in Hong Kong (H Shares and Red Chips) or US (ADRs) though sparingly accessing the sub-set of 1900 mainland China A shares that are now available through the Hong Kong-Shanghai/Shenzen stock connects (London-Shanghai stock connect was this month’s special). Investors are now salivating over China’s expected inclusion in the MSCI emerging markets index in a couple months which could release a gush of foreign capital (varying estimates of $500 billion to over $1 trillion over the next few years) mostly through passive strategies in EM funds. Ready to “follow the money”, the clan of global traditional managers has been drumbeating A share attributes-inexpensive valuations, low correlations, under-researched names, etc. Tempting that it might be to ride this gravy train, astute investors would be better-served to whet their appetites with a well-planned strategy for tapping into A Shares as well as review the entire menu of China-bred opportunities to customize a China-strategy to suit their tastes. For the A share enthusiasts, the MSCI Emerging Markets Index inclusion would be initially restricted to 222 large cap stocks representing less than 1% of the index, a far cry from a full 20% inclusion that remains a distant dream. For now, this symbolic gesture of capital market liberalization, similar to what the IMF did for the yuan for SDR (special drawing rights) inclusion a couple years ago, might seem gratifying to foreigners who hold ~1.5% of China A shares, in the world’s second largest equity market that represents over 10% of global market cap. This is because most traditional managers feel more comfortable trading liquid, larger cap SOE dominant H Shares (typically trading at a discount to A shares) despite the free access to A shares and removal of repatriation restrictions through the respective Stock Connects. This suggests that most global managers are (understandably) apprehensive of onshore dynamics which is largely driven by a growing legion of 90 million retail investors whose favored plays besides real estate, is taking levered bets on stocks discussed in chat rooms and churning the market, contributing to 80% of trading volume. To backstop knee-jerk reactions and avoid market meltdowns, “national teams” are often deployed (as in 2015-2016) to artificially prop up the market. While such inefficiencies remain deep-seated enough to scare off most foreign (traditional) investors, this provides rich hunting grounds for Asian/China alternative managers. With better knowledge of local business/market behavior, stronger networks for channel checks, greater capabilities to scrub data often in Mandarin, and a closer ear to the ground on policy moves, local managers are better equipped to hedge against such risks (shorting indexes like HSCEI, US ADRs, using swaps etc.) as well as exploit such anomalies by going long and short stocks, both fundamentally and quantitatively. The handful of ~23 foreign (long only) money managers who have been granted access to set up shop onshore, could face a steep learning curve to decipher the nuances of the Chinese marketplace. Also, local managers who run a Greater China mandate can cover the entire gamut of ~ 6500 stocks comprising China A stocks, H shares, US listed China ADRs and even tech-heavy Taiwan stocks. In other words, investors on a China A shares-binge could potentially tap into the breadth and depth of the Chinese economy through Asia-based alternative managers in a better risk-controlled (market neutral, variable net) manner. They can also exploit the structural inefficiencies of China’s public markets and avoid succumbing to irrational market gyrations with unhedged long only exposures or with Western approaches to a very nuanced market. Since Xi Ji Ping first came to power in 2012, the “China Dream” has evolved with a greater emphasis on “leapfrogging” the West in leading with innovation in e-commerce, biotechnology, semi-conductors, and artificial intelligence to create national technology champions in an environmentally sustainable manner that also addresses pollution control and climate change. Nowhere is this more evident than in the rapidly growing Chinese venture capital industry that rivals Silicon Valley very closely. China remains ever ambitious to learn new technologies and thus continues to invest through Tencent, Alibaba and more than a thousand domestic venture capital firms into local ride-sharing, online retailing, digital payment technologies, etc. in India and South-East Asia while continuing to create its own unicorns such as SenseTime that boasts of receiving the largest single round of VC funding for any AI company to date. The push to be a global leader in AI by 2030 is so great that many Chinese cities have their own AI institutes run by AI engineers that China is actively wooing from across the globe who collect vast public data (privacy being less of an issue in a command economy) and test algorithms. This bodes well for a spate of IPOs on ChiNext (NASDAQ style board of the Shenzen Stock Exchange) or main exchanges adding to the growing stock of public equities. The relentless drive to lead in technology also spurs global acquisitions which might fly in the face of national security concerns of gatekeepers like CFIUS (Committee for Foreign Investment in US) as well as China’s own regulators who intermittently impose controls to stem the outflow of capital especially for less strategic assets like entertainment complexes and hotels. From an investor’s perspective, this opens opportunities for merger arbitrage trades. Acquirers that might otherwise face delays and hurdles could also borrow (at premiums including equity kickers, etc.) from private lenders. Other event driven opportunities arise from consolidation in autos, real estate, textiles, IT hardware etc. while other private lending opportunities continue to simmer across an array of sectors outside of the more cyclical real estate that is often used to regulate the temperature of the economy. Lending in the form of public debt investing has improved since 2016 as fund managers now have freer access to China’s ~$ 12 trillion inter-bank bond market (CIBM) which should see foreign participation, especially from insurance companies seeking long-dated liquid debt, increase from current low (~2%) levels as they can now hedge forex risk through derivatives such as forwards, cross currency swaps, etc. Growing anticipation for Citi and JP Morgan to follow FTSE’s lead in including Chinese debt into bond indicies– likely to draw more foreign flows than A Shares inclusion-has propelled China’s Bond Connect announced in 2017 which is yet another mark of China’s financial liberalization (as is the recently announced RMB denominated oil futures contract, a step toward globalizing the yuan though not freely convertible under capital account). Bond Connect provides international investors with simplified access to cash bonds e.g. central and local government bonds, commercial bank bonds, and enterprise bonds directly from Hong Kong, removing the need to open custody and bank accounts in China. As a sign of market maturity, Chinese bonds have also seen a slight pick-up in bond defaults since 2016. Now, foreigners are even encouraged to issue Panda (yuan denominated) bonds onshore shifting away from Hong Kong’s Dim Sum market that has been fading due to efforts by Chinese authorities to clampdown on speculators making bets against the RMB. This deepens the investable inventory of the third largest bond market in the world. Hungry for global hegemony, China continues to consolidate its relationships with fourteen neighboring states, the Eurasian continent and with the developing world through trade, investment, capital flows and development aid. In this regard, Belt and Road Initiative ring-fencing 65 countries allows China to spread its political influence by building infrastructure while exporting its own surplus capacity in coal, steel, cement, etc. With fixed asset investment (which drove the commodity super cycle) declining, Cobalt and Lithium have dethroned Dr. Copper. China refines 80% of all cobalt sulphates and oxides for cathodes to produce lithium ion batteries and is on track to jointly (with pending stake in Chilean SQM) control 70% of the world’s lithium market. The menu of delectable choices does not come unmixed with concerns that might be deemed a little “spicy” for some investors. While centralizing control establishes order and clarity around vision and purpose, it runs the risk of policy missteps by “one” person and a lack of succession planning creating political uncertainty over the long term. Though control has had some success in weeding out corruption, the overbearing nature of the state in all aspects of life could stifle entrepreneurship especially if SOEs begin taking stakes in private tech companies. Since a stock-market crash in 2015, followed by currency turmoil and capital flight, the government’s tightening grip on the economy with accountability to none other but itself, could be to the detriment of transparency and governance. With rising economic prosperity come parallel demands from the masses for political liberalization, a source of potential domestic tension. The banking system continues to be contaminated with bad loans that China wants to dispose-off gradually without risking a hard -landing, though affording an interesting distressed debt opportunity in the near term. Shifting gears from a debt fueled growth is likely to tame animal spirits in the stock and housing markets but probably also temper economic growth in the interim though not necessarily because of the ongoing trade spat between China and US as less than 20% of China’s exports are to the US with exporters representing less than 10% of China’s A share list. On balance, there are many reasons to evaluate an extensive menu of attractive investment options seasoned in centuries of rich heritage and forward-looking ambitions of global proportions. It’s time to look beyond just “starters” in China A shares for when did starters alone make a complete meal. ÊMA continues to research and conduct independent investment audit on China alternative specialists across the rich menu of Chinese opportunities while helping sophisticated LPs concoct a China-exclusive investment strategy within the construct of their overall asset allocation. Stay tuned. The above content is intended for sophisticated audiences as in institutional investors or family offices. Readers are advised that any theme or idea discussed above is not an offer to buy or sell any investment.